«Thousands of specialists, advanced technology and large-scale investments has made this possible», President Vladimir Putin says as he officially launches production at East Messoyakha, the northernmost field on the Russian mainland. The president took part in today’s opening ceremony via a televised link to the field installation in the Yamal-Nenets tundra. Located in the Gydan Peninsula at 68 degrees north, the East Messoyakha becomes the northernmost oil field on the Russian mainland. Along with the nearby West Messoyakha, the field holds more than 470 million tons of extractable oil and 188 billion cubic meters of natural gas. It is connected with the 485 km long new Zapolyarye-Purne pipeline, an object built and owned by Transneft, the state-owned oil pipeline company. «I want to stress that the industrial development of the Arctic territories, the launch of new, huge fields is made possible thanks to major infrastructure projects», Putin says, transcript from the Kremlin reads. With the field development and the pipeline infrastructure, a new region is opened to industrial development. The project operator, a joint venture of Rosneft and Gazprom-Neft, is in the process of developing also the West Messoyakha. And more is likely to follow. The Messoyakha fields are located on the eastern side of the Ob Bay, an area of major oil and gas development. 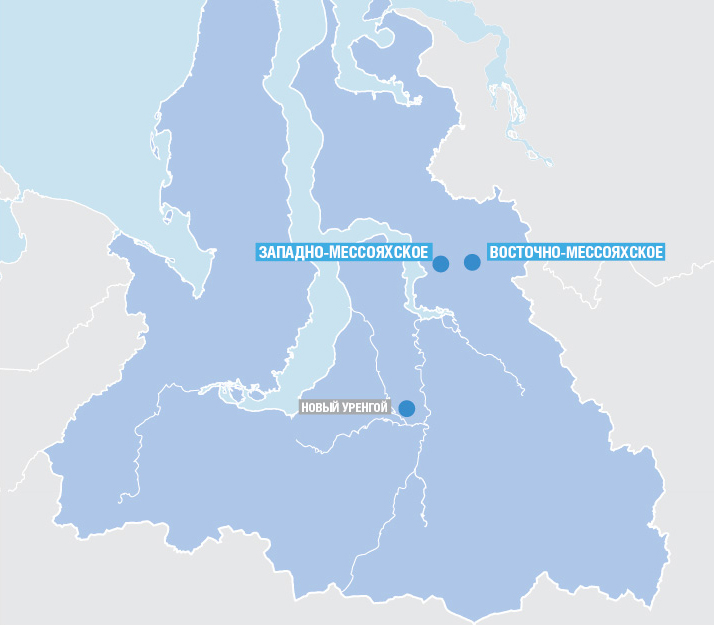 Several of Russia’s biggest gas fields are located a few hundred kilometers further south, and in the Yamal Peninsula, project development and production is going full steam at the Novy Port, the South Tambey and the Bovanenkovo.